Just a 15-minute walk from Charles Bridge, this 4-star hotel in the centre of Prague is located in a Neo-Renaissance palace dating from 1884. It offers spacious, air-conditioned rooms and free Wi-Fi. 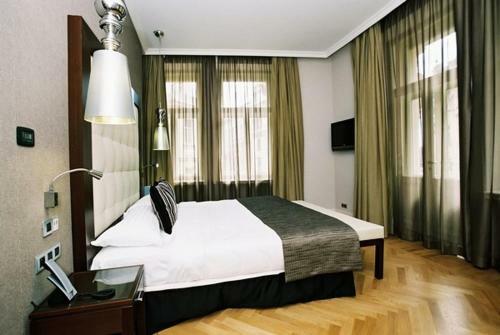 The modern rooms at Hotel David Eurostars feature wooden floors, a plasma cable TV, and a minibar. 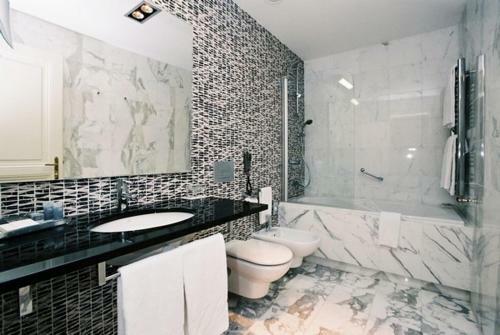 The elegant bathrooms include heated towel rails. Guests of Eurostars David can relax in a sauna and use a gym, both free of charge. Apartmány Národní price per day from €36 Situated in the Topic House, a classic Art Nouveau Building in the centre of Prague, Apartmány Národní is 500 metres from the Národní Třída Metro Station. 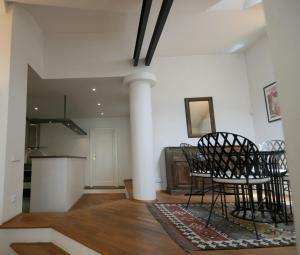 It features a private lift and security at the entrance, as well as free Wi-Fi connection. 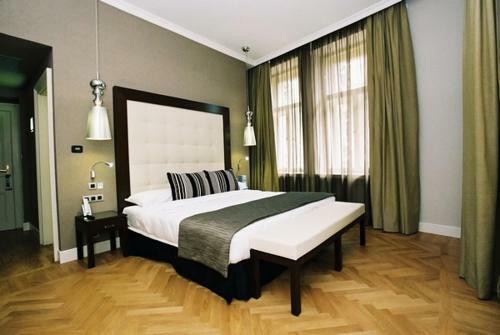 The spacious room is situated on the 4th floor, and features wooden floors and furniture. The facilities include satellite TV, a refrigerator, an electric kettle, and a bathroom. 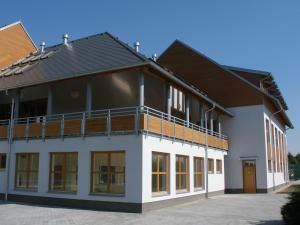 Restaurant Estrella, Prague Guest reviews: 9,4/10 ~ 0,4 km from Eurostars David Address: Opatovicka 17, Prague. Cuisine: Vegetarian. Restaurant Tempo Allegro, Prague Guest reviews: 9,4/10 ~ 0,8 km from Eurostars David Address: Karoliny Svetle 283/24, 110 00, Prague. Cuisine: Italian. Restaurant Hemingway Bar, Prague Guest reviews: 9,4/10 ~ 0,8 km from Eurostars David Address: Karoliny SvEtle 26, 110 00, Prague. Cuisine: Bar. Restaurant Lehka Hlava/Clear Head, Prague Guest reviews: 9/10 ~ 0,8 km from Eurostars David Address: Borsov 2/280, 11000, Prague. Cuisine: Vegetarian. Restaurant Bellevue, Prague Guest reviews: 7,2/10 ~ 0,8 km from Eurostars David Address: Smetanovo Nabrezi 18, 11000, Prague. Cuisine: International.